What better way to bring language learners into the modern era than with tutorials and learning materials tailored specifically to tech lovers? The University of California, Los Angeles, has been doing just that over the course of the past two years with the Language Materials Project. Supported by a grant from the U.S. Department of Education, this organization collects teaching materials for languages as diverse as Afrikaans and Inuit, Quechua and Kurdish, Cherokee and Zulu. Their website currently offers excerpts of over 8,000 published textbooks, dictionaries, and phrasebooks, along with more than 100 puzzles, games, web courses, interactive classes, and even lessons based on clips from popular television shows. 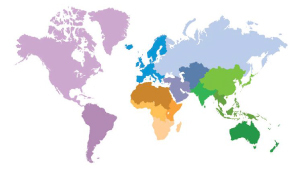 The Language Materials Project maintains portals to each of the 151 languages offered, each with a language profile that provides a regional map, key dialects, and linguistic history. This information is further subdivided into materials specifically catered for K-12 teachers, native language training, and additional resources from a variety of external links. Educators and language learners alike can search the database to find novel lesson plans and a robust and diverse variety of language tools. UCLA’s Language Materials Project is not alone in its efforts to integrate technology into the study and teaching of foreign languages. Below are three modern approaches to navigating the tricky terrain of foreign language acquisition. By partnering with Bloomberg and the Associated Press, Voxy takes an authentic content approach to providing lessons rooted in real-life scenarios. This tech-centric company offers students language learning siphoned from the news, their own music playlists, and their current surroundings, all integrated into day-to-day life via smartphones. The brainchild of Washington & Jefferson College professor Michael R. Shaughnessy, CAPL is a website that aims to bring language, culture, and meaning into a unified whole in the language learner’s mind. The CAPL project provides primary source photographs paired with foreign words in order to present students with a contextual representation of a particular word in the target language. A free resource for language learners, WordSteps is accessible online and available on all mobile devices. Combining reading, writing, listening, and visual exercises, the website also allows students to create their own lists of topics and newly-acquired words. ALTA has provided language training to government agencies, corporations, and individuals around the world for more than 30 years. Click here to learn more about our Language Training programs.